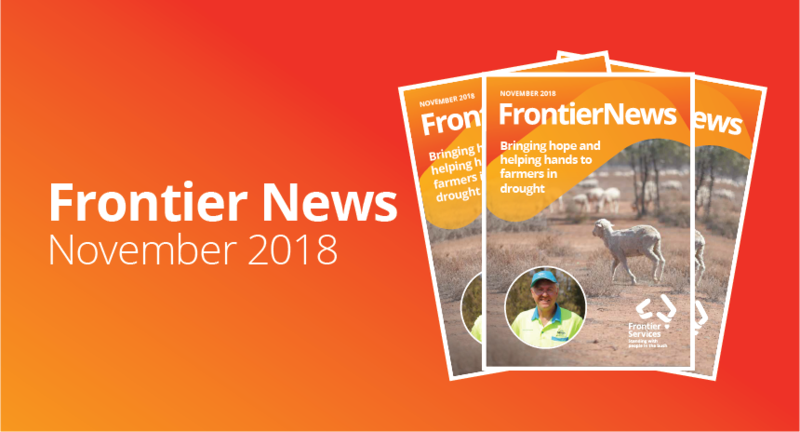 Frontier News – Our November 2018 edition – Out Now! Follow our Bush Chaplain, Rev Phill Matthews and our incredible Outback Links volunteers to Carinda, New South Wales as they bring helping hands, hope and mateship to drought-affected farmers. Relive the events leading up to ‘the first flight’ as we reflect on our shared history with the Royal Flying Doctor Service; and journey through time as we look back on the historic opening of the John Flynn Memorial Church. 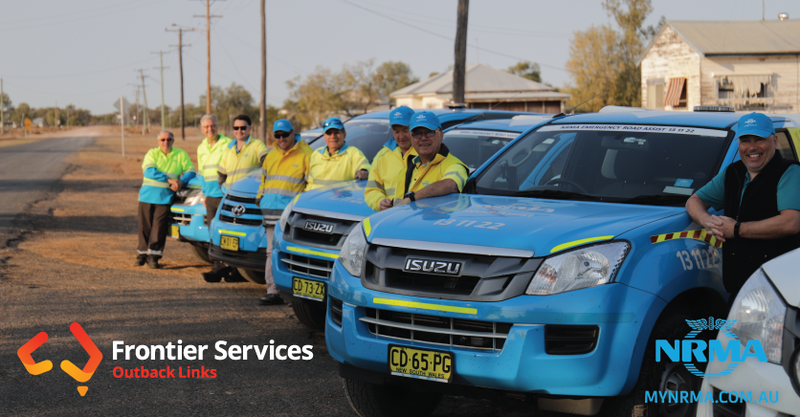 As our Official National Mobility Partner, this year the NRMA sponsored two Outback Links trips that journeyed out to the small country town of Carinda, three hours north of Dubbo. As part of our partnership, the NRMA mechanics volunteered their time and skills to travel from Sydney to Carinda and lend a helping hand to those doing it tough out bush. These Outback Links trips also included some of our own dedicated volunteers and Frontier Services staff. Each trip saw the teams of mechanics and volunteers working on a range of properties, repairing their farm vehicles and equipment, delivering practical support, as well as building meaningful connections. While they worked on these eight farms, they stayed within the community at the Carinda Hotel, a local sweet spot, and hosted a Great Outback BBQ with those farmers involved in the trips.